Q1 What is the ALA-APA? Q2 Why does ALA need an allied professional association? Q3 Why not just make ALA a professional association instead of an educational/charitable organization? Q4 What does ALA-APA do? Q5 How does certification work? Q6 What is the relationship between ALA and ALA-APA? Q7 What impact does the establishment of ALA-APA have on ALA finances and operations? Q8 How is ALA-APA financially supported? Q9 Is ALA-APA a union? Q10 How is ALA-APA work accomplished? Q11 How can I learn more about the ALA-APA? Q12 How have ALA members been involved? Q13 What are the current activities of ALA-APA? A1 The ALA Allied Professional Association (ALA-APA) was created to enable certification of individuals in specializations beyond the first professional degree, and to advocate for better salaries, pay equity and increased status for librarians and other library workers. It is a legally separate entity, tied to ALA through an interlocked Board and Council. Its informal name is ALA-APA or ALA-APA: the Organization for the Advancement of Library Employees. A2 ALA members — and all librarians and library workers — have critical interests in certification, pay equity, status and salaries. In accordance with current IRS regulations, those interests are appropriately addressed by an organization with a tax-exempt status of 501(c)6 – a professional or trade organization. ALA is tax-exempt under section 501(c)3 of the Internal Revenue code – the section applicable to educational and charitable organizations. A3 ALA’s current status makes it clear that ALA speaks on behalf of the millions of people who use libraries of all types. It also allows ALA to raise funds as a charitable organization. As a professional [501(c)6] organization, ALA-APA can aggressively promote the status of librarians and other library workers, speak out on pay equity and work for higher salaries. ALA and ALA-APA will each perform those functions that are appropriate to its tax-status. The field will benefit by the broadened scope of activity and interest available through this alliance. A4 ALA-APA concentrates on two important areas: 1) certification in specializations beyond the initial professional degree, and 2) advocating for better salaries, pay equity and other issues related to the status of librarians and other library workers. ALA-APA publishes the Librarian Salary Survey and Non-MLS Salary Survey, as well as the Library Salary Database. Library Worklife is a monthly electronic newsletter covering career advancement, certification, human resources practice and law, pay equity, recruitment, research and work/life balance. ALA-APA manages the Certified Public Library Administrator (CPLA) Program for public library managers and the Library Support Staff Certification (LSSC) Program for public and academic support staff. These free downloadable advocacy resources highlight practical steps and research for salary improvement and examples of library workers who have successfully improved pay and demonstrated the importance of their work in their communities. The first Tuesday of each National Library Week is designated as National Library Workers Day, a day to celebrate our contributions in libraries. ALA-APA provides experts to speak at conferences on negotiation, pay equity, certification, personal advocacy, change management, etc. A5 Standards for professional practice (including the defined body of knowledge and necessary experience) in various specialties have been and will be developed by ALA divisions within their Council-delegated areas of responsibility. (Where a specialty falls outside an area of divisional responsibility, the standards are established by the ALA Council, based on the recommendation of the proposing group.) Recommendations for certification programs are developed in cooperation with the ALA Committee on Education. The initial standards for the Certified Public Library Administrator Program were developed by jointly by three ALA divisions: PLA, LAMA and ASCLA. For details about the two certification programs, please visit the Certified Public Library Administrator Program website and the Library Support Staff Certification Program website. Appropriate standards developed by ALA units will then be adopted by the ALA-Allied Professional Association as the basis for certification of individuals in areas of specialization beyond the first professional degree. The Board of Directors of the ALA-APA will appoint a Certification Review Committee to oversee the development of each proposed certification program. Each program will have its own Certification Review Committee, enabling committee appointments to reflect the area of specialization. Certification will be awarded by the ALA-APA to those individuals who seek such certification and meet all requirements. A Certification Program Committee oversees the certification programs for ALA-APA. This committee is charged to (1) encourage and promote development of certification programs, (2) monitor and evaluate the progress of such programs, (3) encourage individuals to seek certification through such programs of the ALA‑APA, and (4) make recommendations to the ALA‑APA Board of Directors for general improvements to ALA‑APA certification, based on evaluations and trends in certification practice. The committee shall consist of 5 individuals, including the chair. A6 ALA and ALA-APA are two separate organizations. The governance bodies of these two organizations are completely “interlocked.” According to the ALA-APA Bylaws, members of the ALA-APA Council are “those individuals who are concurrently serving as members of the ALA Council; members of the ALA-APA Board of Directors are “those individuals who are concurrently serving as members of the ALA Executive Board.” Bylaws and policies of the ALA-APA may not conflict in any material way with the ALA Constitution and Bylaws – ensuring consistency in critical areas such as accessibility, diversity, and open meetings. The ALA-APA Council and Board of Directors meet in conjunction with the regularly-scheduled meetings of the ALA Council and Executive Board. Decisions about the future directions and priorities of ALA-APA are be made by the ALA-APA Council and ALA-APA Board of Directors – whose members are the same individuals elected by ALA members to the ALA Council and ALA Executive Board. Thus, the ALA members have ultimate control over both organizations, through their elected representatives. A7 ALA will continue to do those things for which it has been valued by its members, the profession and the public – advocate for library funding, for policies that promote equitable access to information resources, and for first amendment rights. Under IRS regulations, ALA may not financially support the ALA-APA. ALA has made an allowable, fair-market startup loan to ALA-APA to enable it to begin work, with loan repayment beginning in year five. Ongoing ALA-APA work will be supported through fees for products and services and through voluntary contributions. A8 Ultimately, ALA-APA must be a self-sustaining organization. While ALA cannot legally support ALA-APA operations on an ongoing basis, it can make an initial loan to the ALA-APA to enable it to establish itself; that loan must be repaid, with interest. The ALA-APA Business Plan, accepted by the ALA-APA Board of Directors in November 2002 on the recommendation of BARC and the Finance & Audit subcommittee, includes revenues from five sources: (a) voluntary contributions, (b) certification applications, (c) consulting services related to comparable worth studies, (d) statistical research reports, and (e) a monthly, electronic newsletter (see Activities and Services in Q4). Under the Business Plan, the ALA-APA was to become self-sufficient in year four and begin loan repayment to ALA in year five. This schedule was postponed, with interest payments beginning in fiscal year 2009 and loan payments beginning in fiscal year 2010. The ALA-APA utilizes some ALA services (e.g., accounting), for which ALA will receive an “indirect cost” or overhead payment. ALA-APA also pays rent to ALA for office space utilized. A9 No. ALA-APA is not a bargaining unit. It does not represent any specific group of workers in labor/management negotiations. Unions operate under a different section of the U.S. Internal Revenue Code. ALA-APA advocates, both generally and legislatively, for “the mutual professional interests of librarians and other library workers.” It collects and disseminates information about salary and other status-related issues, and about successful strategies for achieving pay equity, increased status, and better salaries. ALA-APA is positioned to work with both employers and employee groups toward the goals of better salaries, pay equity and higher status. A10 Currently, there is a part-time Director and a part-time grant-funded Research Associate for the Library Support Staff Certification Program. Eventually, in accordance with the ALA-APA Business Plan and need, the staff will expand. The ALA-APA Bylaws, as proposed for adoption by the ALA-APA Council, include provisions for a certification review committee for each certification program that may be proposed and for a better salaries and pay equity committee. There is also a Certification Program Committee, approved by Council at the 2004 ALA Annual Conference, to oversee all certification programs. Members of ALA-APA’s other committees, the Salaries and Status of Library Workers, Promotion and Fundraising, and Publishing, contribute by fulfilling their respective missions. A11 There are several ways to learn more about the ALA-APA. Current ALA-APA documents and an extensive ALA-APA document archive are available on the web at: http://www.ala-apa.org. Call 800-545-2433, x2424 or email info@ala-apa.org to ask questions and request brochures and promotional materials. A12 At the 2002 Midwinter Meeting, the ALA Council approved starting Bylaws for the ALA-APA. At the same meeting, the ALA Council authorized appointment of a Transition Team of ALA members, to guide the establishment phase. Currently, ALA members serve on ALA-APA committees, make financial contributions, subscribe to the Library Worklife: HR E-News for Today’s Leaders newsletter, and participate in ALA-APA-sponsored programs at ALA conferences. They also celebrate National Library Workers Day, inaugurated on April 20, 2004 and celebrated on the Tuesday of each National Library Week. 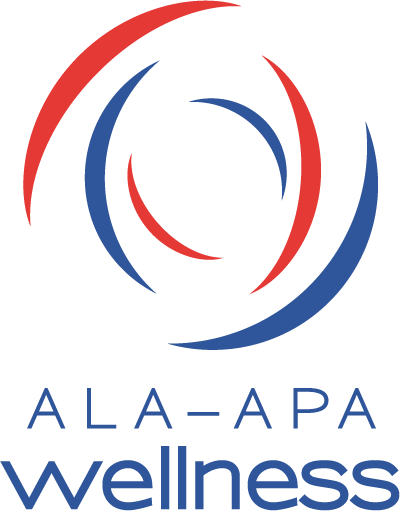 Current committees and members may be found on the ALA-APA Web site. Library Worklife: HR E-News for Today’s Leaders: ALA-APA publishes a monthly electronic newsletter, which informs readers about issues – career advancement, certification, human resources practice, pay equity, recruitment, research, work/life balance – that concern all library workers. Subscriptions are included as a benefit of ALA Organizational membership and are $35.00 for ALA members. Certification: ALA-APA manages the Certified Public Library Administrator Program and is collaborating with library groups that are investigating a certification for support staff and librarian specialties. Salary Surveys and Other Publications: ALA-APA publishes the Librarian Salary Survey (bi-annually as of 2012) and Non-MLS Salary Survey (every five years, next in 2012), sold through the ALA Online Store, as well as a database of library salaries. National Library Workers Day: The first Tuesday of each National Library Week is designated as National Library Workers Day, which was inaugurated on April 20, 2004. ALA-APA sponsors NLWD and provides resources for celebrations and media relations. Outreach: ALA-APA conducts outreach campaigns to address name, mission and service recognition for the ALA-APA within the library community. Website: The ALA-APA Website (http://ala-apa.org) has relevant documents and information on certification, pay equity issues, professional concerns, and other issues important to library workers.